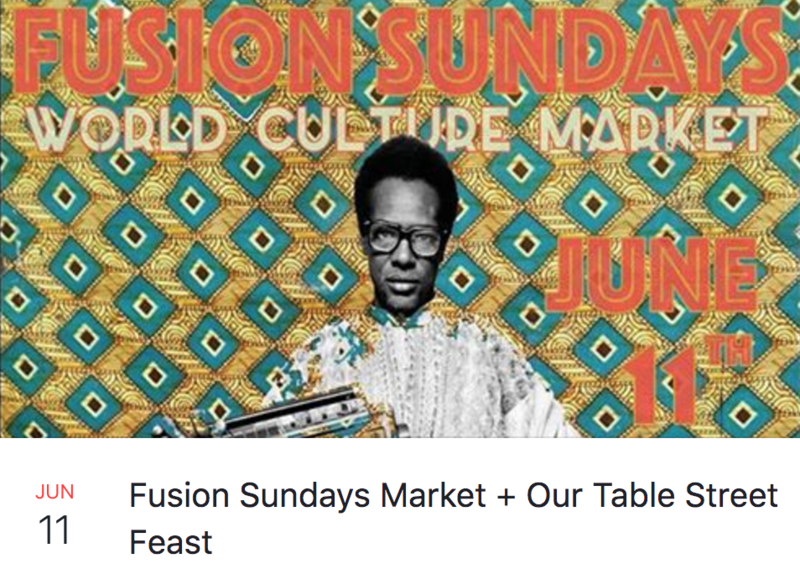 Fusion Sundays celebrates ethnic diversity with their monthly world culture market down at the Dublin Food Co-Op. With live music and performances, it’s always a great day out for the whole family. This Sunday, 11th of June, they will be joining forces with Our Table and Street Feast for a very special celebration, bringing together many cultures through food, conversation and maybe even a boogie or two. Our Table is a community driven, not-for-profit project aiming to raise awareness of those in Direct Provision and facilitate change by creating the space for conversation over a shared meal. They also create nurturing and understanding spaces where people can gain work and life skills, are paid a wage and can gain knowledge of the Irish food industry. FoodCloud are supporting the event with a generous donation of food. They continue to do great work reducing food waste and helping others by distributing surplus food to community groups and charities. The lads from CreateSound have got the tunes covered and will surely have your foot edging it’s way to the dancefloor in no time. CreateSound are all about enabling people, young & old to make music, regardless of background and musical ability. Gav Timlin, founder, has created tracks with kids in refugee camps in Ritsona across a spectrum of abilities and continues to do great work here in Dublin. We are very excited about this fusion of incredible culture, food and fun and would love to see you down there on Sunday, all you have to do is bring a plate of food to share and the rest is sorted. The feasting will kick off at 1pm, this Sunday, 11th June. Get down on time to be sure you get a seat at the table!